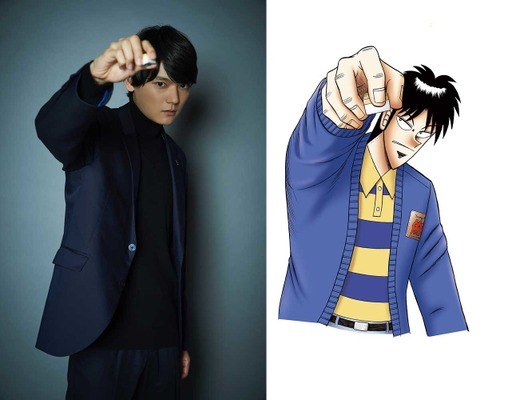 Yuki Furukawa is cast for a major supporting character role in TV Tokyo live-action drama series “Ten: Tenhodori No Kaidanji” starring Goro Kishitani. The drama series is based on manga series “Kuroshitsuji” by Nobuyuki Fukumoto. Yuki Furukawa will play Hiroyuki Igawa. He hustles money by playing mahjong games against normal folks. He meets Takashi Ten (Goro Kishitani) and they decide to play against the best professional mahjong players. Yuki Furukawa in his real life has played mahjong for the past 11 years and started when he was a university student. “Ten: Tenhodori No Kaidanji” will first air sometime this autumn in Japan.